For the last few years, Hollywood has been playing on the same young adult, fantasy dystopian society trope with its films, marketed towards a teenage demographic. With the same format being used over and over again in such a short time span, is the genre starting to die out? 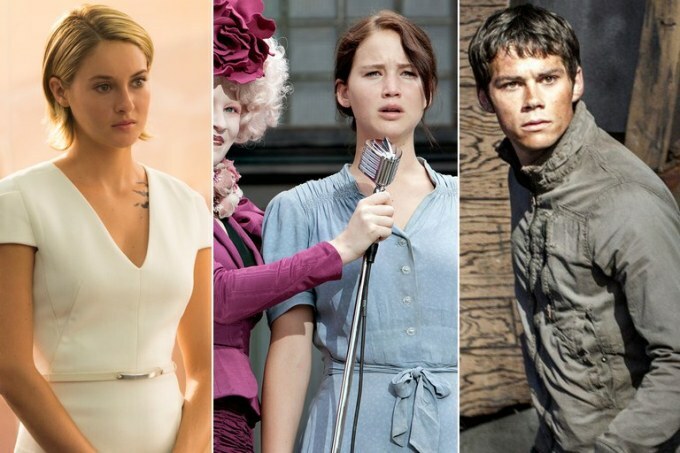 This genre initially received success with film adaptations such as “The Hunger Games” or “Maze Runner” franchises. Hollywood, however, seems intent on deriving the same plot and cliches for almost all of its other films — from “Divergent” to “The Fifth Wave” to “The Darkest Minds.” Although this genre started off strong with box office and critical success, the constant repeat of these movie storylines in the past few years left little room for growth and improvement. As Hollywood filmmakers continuously play onto the same stereotypes, these movies seem to fall farther away from public interest. “The Darkest Minds,” for example, is the one of the more recent examples of these dystopian films. It barely passed its budget of $34 million, with a worldwide box office gross of $38.2 million. The movie marked as the 11th worst opening for a film, and was dropped from over 2,000 theaters by the third week. As for critical response, it received generally negative review from Rotten Tomatoes (18 percent) and holds a 39/100 on Metacritic. These dystopian films all seem to follow a similar template, and it seems the audience is catching on quickly as more of these movies are added to the pile. The setting mainly takes place in the grasp of a tyrannical government intent to control the population through some deranged practice of handling the country’s youth. The story opens up with a teenage main character and their own ensemble of other protagonists. Together, they search for their own safe haven in a post-apocalyptic society, and potentially dismantling the government’s dictatorship along the way. There’s almost always a love triangle involved with the main character, as well as a suspenseful cliffhanger to tie the movie to an expected trilogy series. Sound familiar? Though the books seem to be faring well with the youth audience, it’s the movies that have become so oversaturated with the same gimmicks that public interest is dying out. Maybe if the storylines weren’t all so connected to the same cliches in such a small time span, their success would be longer-lasting.